Extreme temperatures are a health hazard. Prolonged exposure to extreme heat or cold pushes your body beyond its natural limits. Fortunately, most serious conditions can be prevented if you take steps to avoid them. 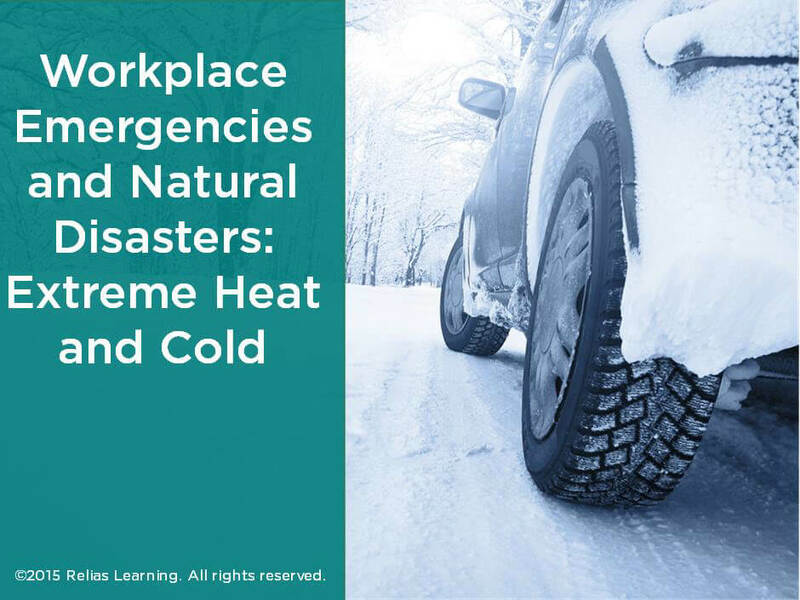 This course will explain the risks of extreme temperatures, signs of distress, and how to stay safe while these conditions last. Adapt daily activities to stay safe under conditions of extreme heat or extreme cold. Define the terms heat index and wind chill. Identify signs of health hazards cause by overexposure to extreme temperatures, including heat exhaustion, heat stroke, dehydration, hypothermia, and frostbite.